Good morning, I was very much impressed by the last speech of Irene. I was very impressed because she said quite rightly: “Don’t give a diagnosis” and that means you do not have, you should not accept a diagnosis. And this is what I am talking about when I talk about “How to solve the schizophrenia problem”. I would also like to thank and congratulate those who organized this congress in times of crisis. This crisis makes people very creative. It has something positive as well. It is great to have the discussion about the emancipation of the Hearing voices movement in this classical culture country, Greece. This fits with the atmosphere where we would like to emancipate hearing voices. In normal healthcare, you have a complaint, then the doctor looks for the cause of that complaint, then puts complaint and cause together and makes a diagnosis. Psychiatrists do something different, they construct an illness from separate symptoms. They don’t look for the cause. Schizophrenia as an illness entity means that the symptoms are the consequence of the illness. There is no cause for the illness; the illness is the cause. This has no empirical basis and prevents a solution, because you don’t analyze the background of the symptoms. As well, there is no scientific proof of the relation between hearing voices and schizophrenia. It is just a hypothesis, but scientifically no one can say that you hear voices because you are a schizophrenic, that is not true. Nor there is a relation between paranoia and delusions and hearing voices, not an empirical basis for this relation. There is not a direct relation either between isolated people and people who hear voices. The experiences defined as the symptoms of schizophrenia are independent of the diagnosis. These experiences are meaningful on themselves, related to emotional problems, they are not the consequences of illness; but, this is true, they can lead to illness. Hearing voices has a life of its own; it is not a symptom of something else. About 4% of the general population knows the hearing voices experience. There are more healthy people who hear voices than people who are ill, hearing voices. The illness concept discriminates millions of people who hear voices, because it is generally regarded as a clear sign of madness. Statistically speaking, Childhood adversities such as sexual abuse, physical abuse, emotional neglect and bullying have been shown to augment the chance of developing psychosis in later life. Statistically speaking, childhood trauma has been shown to be of causal influence on developing hearing voices. Brain scan research has shown that while a person hears a voice, different brain areas light up, like the Broca center (speech) and several memory centers. The same areas light up when “voice hearers” have an auditory verbal hallucination. And this is equal with “voice hearers considered ill” as with “voice hearers considered healthy”. 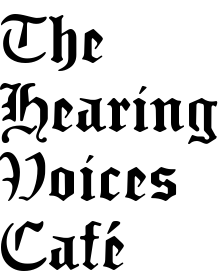 This means as well that when a voice hearer “hears” a voice (auditory hallucination) the voice is really “heard”. So voice hearing is no fantasy, even if most people still believe that. The voice is truly heard. There are direct links between the characteristics of the voices heard and the problems of the voice hearers. There is an empirical relation. When you interview the person who hears voices, you can identify the relation between the voices and different problems in the life of the voice hearer. To give an example, the age of the voices can be the age of the voice hearer, when the sexual or physical abuse started. But it could also be that the age of the voice corresponds to the age of the voice hearer when the abuse ended. Or many other personal correspondences. The voices can be the voices of the perpetrators, this is something happening in cases of bullying, where you keep hearing the voices of those who committed the bullying. What you have to remember of this congress: psychiatry is lying about the diagnosis. The relation of paranoia, delusion, social isolation and hearing voices are of different origin. Delusions always explain something about the person, there are always good reasons for the delusion; the doctor should try to find out about this. Delusions and voices are undeniable personal experiences, and they have to be understood. Social withdrawal does not produce voice hearing, but the other way around. For a person who hears voices continually, social life is exhausting and prefers to be alone. Calling voice hearing a psychotic symptom means that it is a meaningless experience, a product of something else, while in reality, voices have enormous significance for the life of the voice hearer. And knowledge of this significance helps the voice hearer on his and her way to recovery. Schizophrenia is now called in Holland “Psychosis Susceptibility Syndrome”. Now the next step would naturally be that everyone recognizes the “Personal Susceptibility Syndrome”. Then the only thing missing will be the personal diagnosis of a person’s problems, as a subject. People don’t hear “voices”, they hear “people’s voices”, and each of these voices should be analyzed and discussed. And for this, one needs time. Time with the patients. With this we might solve the schizophrenia problem. Besides, schizophrenia does not even exist.